As first appeared in Education Week on May 9, 2017. Reprinted with permission from the author. Education policy has become as polarized as the rest of American politics. In the new administration, disagreements over standards, funding, school choice, and students’ civil rights are sure to intensify. Yet despite this polarized state of affairs, liberal and conservative education priorities are converging in a number of important respects, driven in part by mounting research findings. Common ground is emerging where conservative commitments to character formation, strong families, and local solutions meet liberal commitments to services that help low-income families overcome obstacles to improving their quality of life. Borrowing a term from the Harvard political scientist Robert Putnam, I suggest that a number of educational priorities, described below, are “purple”—they resonate with both red and blue constituencies. Further, these priorities animate a powerful reform movement that is spreading across the country. Address the whole child. Last May, eight U.S. representatives—four Republicans and four Democrats—introduced a bipartisan resolution calling for a whole-child approach to education to ensure that children are physically and emotionally healthy and safe. Supporting the whole child means providing additional supports for children’s health and social-emotional skills while continuing to improve the teaching and learning of cognitive and academic skills. This is a high bar, and as the resolution recognizes, it requires coordination among education, health, and social services. Research, however, increasingly shows the importance of reaching this bar. It is easy to see how physical and mental-health issues interfere with a student’s ability to learn, and in recent years, interest among liberals and conservatives in noncognitive skills has soared. In his 2012 book How Children Succeed, Paul Tough synthesizes exciting new research on the importance of character skills, including social-emotional and executive-function skills, grit, and conscientiousness. Psychologists have shown that these skills are both valuable and malleable. Further, the relationships and practices found in high-quality programs have been shown to make a significant and long-term difference in the lives of children and youths. 2) Deepen family engagement and support. In a 2015 New York Times op-ed essay, Johns Hopkins sociologist Andrew J. Cherlin suggests that a truce has been called in the “war over family” whereby conservatives acknowledge that a changing economy is taking a toll on families and liberals acknowledge the value of marriage for child-rearing. Both sides agree that family stability is declining among low-income families and that this decline has negative consequences for children, an agreement that opens up the possibility of bipartisan solutions. Schools, preschools, and community organizations can play a key role in promoting family stability by deepening partnerships that encourage family engagement and provide support services and parenting education. One promising approach that can appeal to both sides of the aisle is the Strengthening Families framework produced by the Center for the Study of Social Policy, which includes free curriculum and professional-development resources. Used in more than 30 states, Strengthening Families is based on research-supported protective factors, including parental resilience, social connections, and knowledge of parenting and child development. Strengthen neighborhoods and communities. Inspired by the Harlem Children’s Zone and similar initiatives, so-called cradle-to-career partnerships of schools and social service agencies are proliferating. These partnerships are premised on the conviction that addressing poverty requires improving schools and improving the delivery of existing social services. A recent Wallace Foundation report suggests that such partnerships move past the debate between conservative-leaning proponents of no-excuses school reforms and liberal-leaning advocates for bigger, bolder social services. Cradle-to-career partnerships fit with the emphasis found in both conservative and liberal thought on local decision making and strengthening neighborhoods and communities. They attempt to improve the quality and coordination of services and relationships within a defined geographic area to create a concentration of mutually reinforcing activities. 4) Start early. All of these efforts will be more successful if communities start in the earliest years of children’s lives. Here, too, there is strong consensus. The First Five Years Fund reports that 78 percent of Donald Trump supporters and 97 percent of Hillary Clinton supporters favored federal action to increase access to early-childhood education. James J. Heckman’s well-known research on the economic returns of investment in high-quality early education and other researchers’ work on the importance of the early years for young brain development undergirds this consensus. 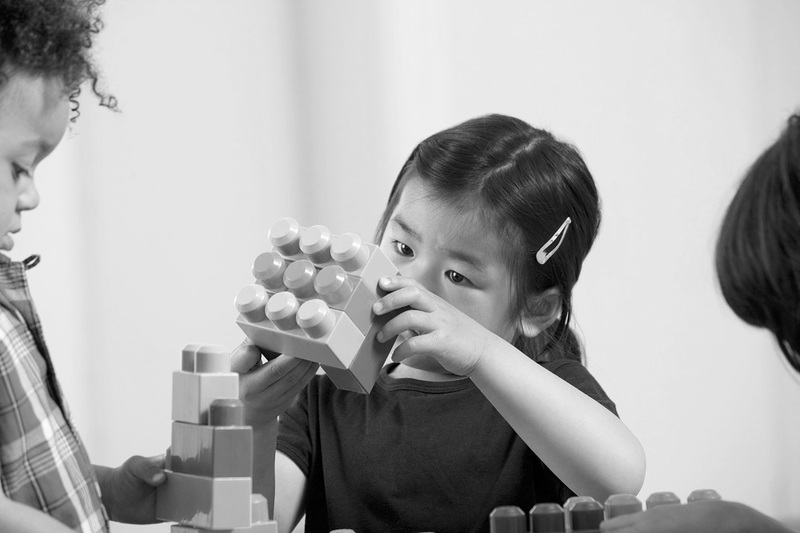 An extensive body of research also shows that preschool alone is not sufficient. Improving the quality and continuity of children’s experiences throughout the entire continuum, beginning with prenatal care and extending through 3rd grade, is critical to improving outcomes for children in poverty. Family stability is critical to addressing the needs of the whole child, community partnerships are required to coordinate multipronged approaches to serving children and families, and early childhood is the ideal time to begin this work. These priorities form the spine of a growing movement to create P-3 partnerships devoted to improving children’s experiences along the entire prenatal-through-3rd-grade continuum. P-3 partnerships bring together school districts, community-based preschools, home-visiting programs, and other early-childhood programs. They implement a coherent set of strategies to build the capacity of their member organizations to improve quality and align services with a core set of goals in mind: academic learning, good health, social-emotional learning, and family engagement and support. School districts in Union City, N.J., and Montgomery County, Md., have produced some of the best results raising achievement for low-income students in the country. Integral to their approaches were P-3 initiatives to align standards, make deep improvements to curricula and professional development, and develop strong partnerships with families and community-based organizations. States across the country, supported by a number of federal initiatives, have embraced P-3 approaches and are supporting local P-3 innovation and cross-community learning. These partnerships are not a quick fix that makes for snappy partisan sound bites. The community-by-community approach that P-3 partnerships represent may not satisfy liberal desires for a bold federal program, and they require more government support for education and social services than some staunch fiscal conservatives may condone. But they do bring together purple education priorities in ways that should appeal to pragmatically minded superintendents, mayors, city council members, state legislators, and governors. Spanning political and organizational boundaries, purple partnerships that support whole-child development in stable families and strong communities represent one of our greatest opportunities to improve the lives of low-income children and their families. David Jacobson is a Senior Project Director at the Education Development Center and a partner with the Center on Enhancing Early Learning Outcomes. He provides technical assistance to states, districts, and communities on early education and care and writes the P-3 Learning Hub blog.